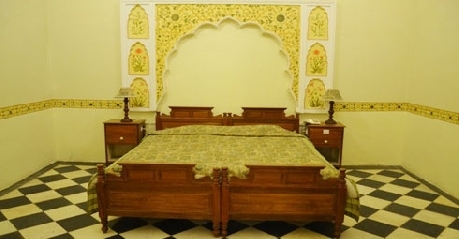 Hotel Phool Mahal Palace is a three star hotel located in the historical town of Kishangarh, very close to Ajmer. 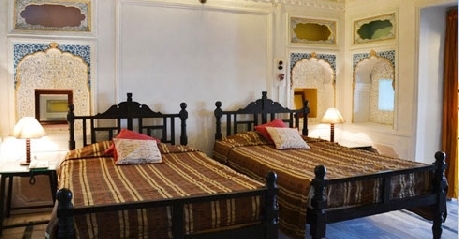 The hotel lies on the National Highway 8 and is just 100 kms from Jaipur. 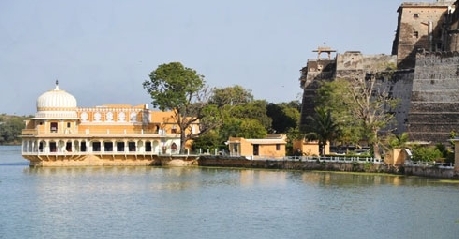 The Palace, which faces the Gundalao Lake, was built in the 19th century by the Maharaja of Kishangarh and is now a heritage hotel. 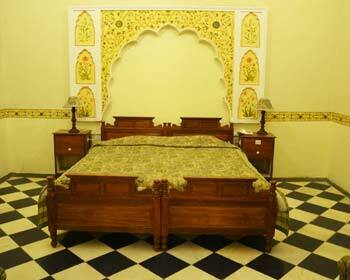 The palace has a massage centre and a swimming pool which offer a rejuvenating experience. The hotel also arranges sightseeing and camel rides around the town. Other facilities of this hotel are a library, internet access, doctor on call, jogging track, 24 hour front desk and a dedicated travel desk. 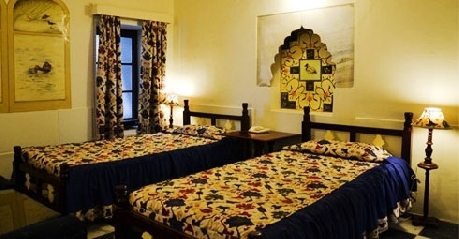 Deluxe rooms are huge and offer the guests with all the modern comforts. To provide one with a perfect holiday, the room has a double bed which is decorated with soft fabrics and cushions. The color television is a good source of entrainment for its guests with all its premium channels. The other amenities include a well decorated mini-bar, color television, free dialing telephone, bottled drinking water, tea or coffee maker and attached bathroom facility. These suites are smartly furnished and come with a private sit-out. The room is very spacious and designed with elegance in mind. The Suite has a comfortable large king size bed, a coffee table and a couple of chairs where the guests can sit and relax after a tiring day. The wireless internet connectivity makes sure the patrons are always connected to the rest of the world. The en suite bathroom has a deep sunk bath tub and a shower cubical. Other amenities of this suite are a well-stocked mini-bar, color television, telephone, tea or coffee maker and a private bathroom. 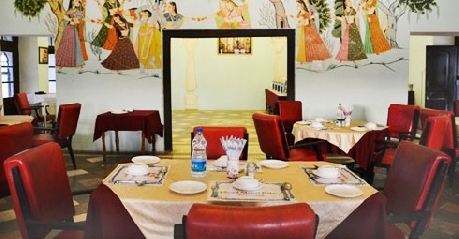 The hotel has its very own dining area which serves multi cuisine dishes in its fine dining restaurant. 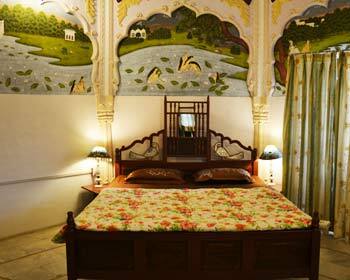 The place is very amazingly decorated with historical painting and artifacts. 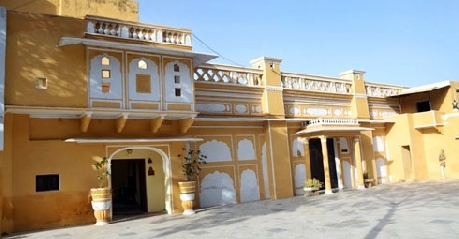 The restaurant serves Indian, Rajasthani and some very unique local delicacies. Do not miss gorging on recipes straight from the kitchen of the royalty. Children below 5 years are stay on a complimentary-basis if they do not require extra bedding.